A weekly, half-hour news program produced, written, directed and anchored by Temple students. Update focuses on news and events on campus, in the surrounding area and anywhere there may be a story of interest to the greater Temple community. 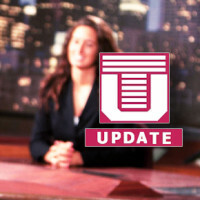 Temple Update is produced every Thursday morning in the TV News Broadcast Production Practicum class, assisted by a dedicated staff of student volunteers. Hosts Freixys Casado and Kristine Aponte cover Philadelphia’s status as a sanctuary city and what that means legally for immigrants, what celebrities are doing to help victims of Hurricane Maria in Puetro Rico, and the recent tensions in Tumaco, Colombia between social leaders, coca farmers and criminal gangs.